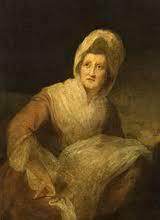 Patience Lovell was born on Long Island in 1725 to well-to-do Quakers, and moved with her family to Bordentown, New Jersey, at age four. Patience discovered her talent for sculpting at an early age. She and her sisters shaped wet flour or clay. When the sculptures were dry, they used plant extracts to paint them. In 1748, she married Joseph Wright, an elderly Quaker farmer, who was a landowner and spent much of his time away from home taking care of his properties. Patience and Joseph had three children, and for years she amused herself and her children by molding faces out of putty and bread dough. Early in the 18th century, many of the portraits of colonial gentle ladies were done by Henrietta Johnston (1670-1729), the first female portrait painter in the American colonies. Surprisingly, she did not use oils or watercolors, but French pastels – a relatively new medium at that time. Johnston rendered the facial features with precision and blended colors skillfully, particularly in the hair. 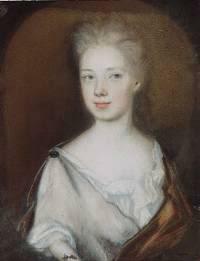 Henrietta De Beaulieu was born to a French Huguenot family in Dublin, Ireland in 1670. At the age of 10 or 12 she fled with her Huguenot family to England from France to avoid persecution. In 1694, she married Robert Dering, the fifth son of Sir Edward Dering, and moved to Ireland. Their marriage application dated March 23, 1694, describes Henrietta as a maiden of about twenty from the Parish of St. Martin-in-the-Fields.